Private Playtime for 10 kids. Invite your family and friends to enjoy 1 hour of fun-filled inflatable playtime in our private arenas. Reservations required and can be made within 14 days of the date. $13 per additional guest. Does not include use of the Party Room. Call today to reserve your Pump It Up Private Playtime or book online! Pump It Up is partnering with Bricks 4 Kidz to offer Lego inspired weekly camps for kids all Summer long. Bricks 4 Kids camps are a fun & educational way for kids to spend their Summer break. 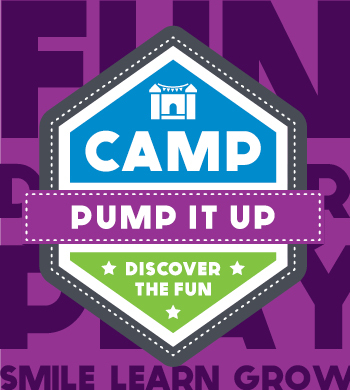 Campers will build robots, drones, remote tech models, learn coding, 3D printing and each day campers will have physical activities in the Pump it Up fun-filled place. 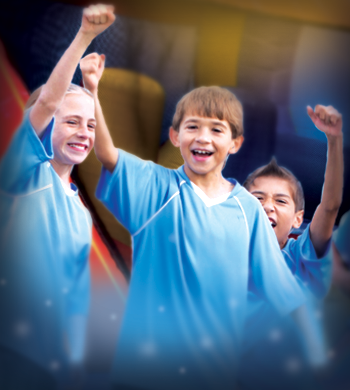 Camps are geared for ages 5 though 13 structured in age groups and run from 9AM through 3:30PM daily. Extended care from 3:30PM to 5PM also available. To sign up, please go to https://www.bricks4kidz.com/california-sanjose-cupertino/summer-camp/. Register by March 15th to take advantage of big savings. Have a large group you would like to bring in from school, clubs, summer camp, church, or any other organization? 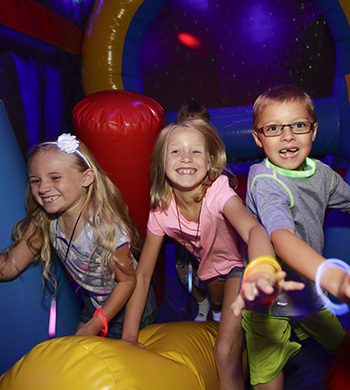 Pump it Up is the perfect place to cut loose and have fun! We offer an 75 min jump time only for $13.00 per child, or a 2 hour event including 2 slices of pizza and a drink for $16.50 per child. Field trips are offered Monday through Thursday and have to start by no later than 2PM. Please call 888-681-7111x1 or email piuevents@yahoo.com for availability or further information. 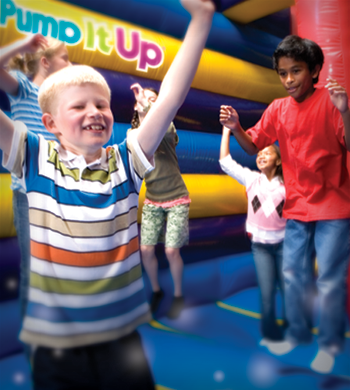 Invite your whole school, grade, or class to Pump It Up for a night of Bouncing, Climbing, and sliding FUNdraising. All that you have to do is "get the word out" with flyers, posters and/or emails! 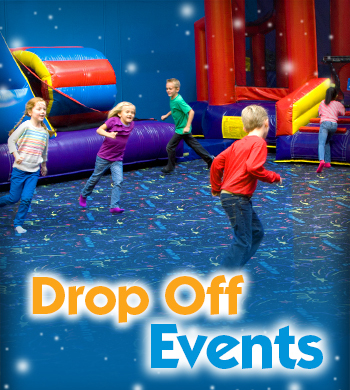 Pump It Up is the perfect place to hold your next school FUNdraiser. Please be aware that everyone jumping on the inflatables has to complete a waiver and wear socks - no exceptions. A waiver can be downloaded from our website or completed by the parents upon arrival at the event. 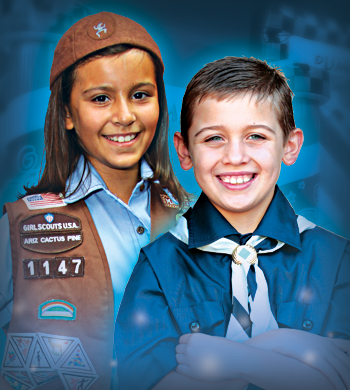 FUNdraisers can be held for any school, scout troup, sports team, or organization. We will work with you on pricing designed just for your event! Call our facility today to start planning your FUNdraiser! To setup your fund raiser, please call 888-681-7111 and select extension 2. Come join us for a week of building & creating, LEGO® Zoom & LEGO® Robotics models paired with a chance to let loose and play in Pump-It-Up's super fun zone. Bring along a non-perishable lunch and morning snack and water. Register for a few days or sign up for the entire week at a discounted price. Pump It up is proud to be partnering with Sensory Bounce LLC to provide an exciting and dynamic Sensory, Motor and Social Skills Occupational Therapy Program. The program will be be run by a professional, licensed Occupational or Speech Therapist. This amazing program is geared for children with ADHD, Low Muscle Tone, Autism and Autistic Spectrum Disorders, Sensory Processing Dysfunction, Social Skills Difficulties and Gross Motor or Balance Difficulties. A parent support group run by a licensed, professional Social Worker while children attend the Sensory Bounce session, is also available. To register or for more information please go to sensorybounce.com or call the caring staff at (201) 794-7700x3.